← StatsCan Study: How temporary were Canada’s temporary foreign workers? On the first anniversary of the Quebec City mosque shooting, Quebec is still working through its grief. While those directly affected by the tragedy are still coming to terms with their own loss, much of Quebec remains in denial about the event that traumatized the entire province. That is why the first anniversary of the Jan. 29 massacre of six innocent Muslims will not be deemed a National Day of Remembrance and Action against Islamophobia. And even many of those who first proposed the idea agree that it’s probably better that way. That discord and bitterness should prevail in the place of generosity and compassion is not that surprising. While the past year has witnessed thousands of acts of kindness on the part of non-Muslim Quebeckers toward their Muslim brothers and sisters, the shooting thrust into the open a debate that many feared Quebec was not ready to have. They turned out to be right. Before tempers rose over the proposal for a National Day against Islamophobia, there were flare-ups over proposed government hearings into systemic discrimination and racism, a municipal referendum on a Muslim cemetery near Quebec City and, most bitterly, Bill 62. The latter, adopted last fall, forbids face coverings when receiving or providing public services in the province. Quebec Premier Philippe Couillard has spent the past year walking on egg shells. His initial reflexes have generally been the right ones, embodying a generosity of spirit that should do Quebeckers proud. But the Liberal Premier struggles with the identity issues that remain the main currency politics in Quebec. The opposition Parti Québécois and Coalition Avenir Québec have managed to portray any gesture toward religious minorities as a sign of weakness, as if the task of combatting prejudice and defending minority rights doesn’t concern all Quebeckers. Hence, Mr. Couillard must preface any discussion on the topic with a disclaimer. “I repeat, Quebec is not any more racist or different than any other society and we face the same challenges as all societies that have to manage diversity,” the Premier declared last week as he explained why his government would not support the proposal for a day against Islamophobia. It’s true that Quebec is hardly alone in grappling with how to address discrimination toward Muslims. The debate last year over a House of Commons motion condemning Islamophobia demonstrated the degree to which the issue stirs passions across the country. And almost no European country has avoided the ugliness of a far-right backlash against Muslim immigration. Still, it is not accusing Quebec of being any more racist than anywhere else to suggest that conflicts involving the province’s Muslim population suffer from the added strain of Quebeckers’ own self-perception as a threatened minority within Canada. Not only does this Québécois minority in Canada speak French, it has embraced a particular brand of secularism that makes room for public manifestations and symbols of cultural Catholicism, but draws the line there. This creates a clash of cultures that has become increasingly difficult to resolve as newcomers seek to practise their religion in accordance with their constitutional rights, while a culturally Catholic majority worries about a return to the bad old days when religious authorities ruled their parents’ and grandparents’ lives. The conflict is least visible in Montreal, where diversity is the norm, mixed marriages are common and hijabs, turbans and kippahs are as unremarkable as tuques in winter. 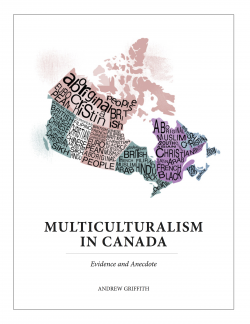 But Montreal is not Quebec and Muslim congregations can now be found in more than a dozen smaller communities, from Shawinigan to Rimouski, and from Mascouche to Saint-Hyacinthe. These new neighbours are changing the identities of their communities – for the better, I would argue. But they are easy prey for the haters. They might once have been easy to ignore. But they have found validation in the echo chamber created by social media and trash-radio hosts. The Quebec City shooting only seems to have emboldened them. The more Muslims seek to assert their rights, the more they push back. How many anniversaries of Jan. 29 need to pass before Quebec faces up to them?